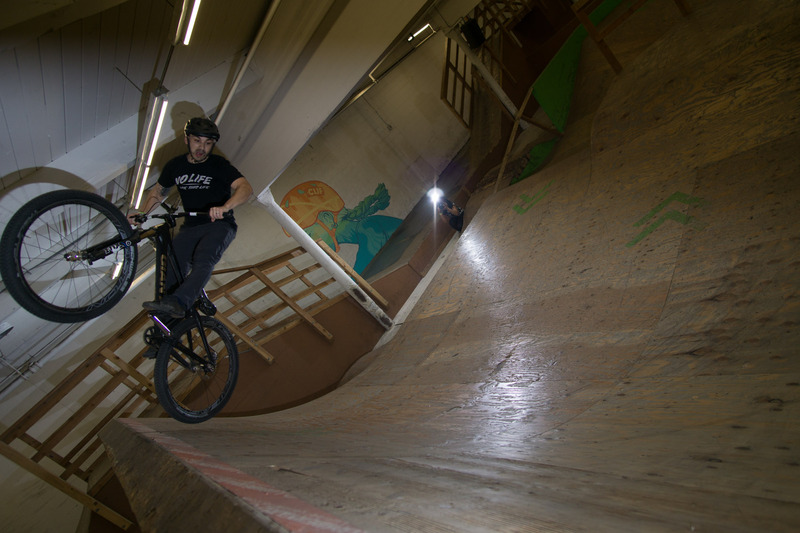 Birthday parties at the Lumberyard are always a great opportunity to see some tricks. So grateful to the riders I kept bugging with my speedlights. This was the first time I’ve taken the flash out with a wide-angle lens to capture riding of this kind. There was also an umbrella’ed light that I tried to incorporate into other shots, which turned out interesting. See the rest of the shots on my Flickr Stream.